Cinema Jam is the first ever outdoor movie and music festival that will happen here in Manila on November 30, 2013 at Event Circuit Makati. There will be two films to be showcased on the said event: "Love, Actually and "Limitless" these two clips will highlight "Seeing life in a bright light" - the soul message of the main sponsor of this event which is Crizal Transitions. Crizal Transitions is the world's leader in Photochromic lens capable in adjusting to any lighting condition. As they bring to us Cinema Jam this year, Crizal Transitions sees the art in celebrating a different and changing light as they welcome guests to a unique experience of shifting perspectives: A fun filled afternoon to capture everyone's heart and then continues through the night with the music festival; capped with an evening of the movie marathon and the after-party concert. Yes! Who's ready to party? Let's do the line up on who's gonna be there to rock our world shall we? Here's the list - Bamboo, Itchyworms, Callalily, Moonstar 88 and GraceNote, they will surely make one amazing music night. 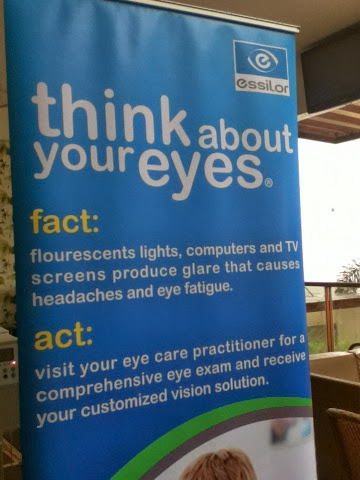 Plus, exciting activities; A free vision screening in the Optical Village section will check guests' eyesight. Thrill seekeres can choose among karting, bungee jumping, skating and kite-flying, never ending fun! And oh raffle prizes await some lucky guests too. So whar are you waiting for? Tickets are available at Ticketworld priced at Php 1,350. Proceeds of the event will benefit the World Vision Foundation. Or you could actually get (2) free tickets with every pair of Crizal Transitions. What a great deal to enjoy that night knowing that you'd help a very good cause. Crizal Transitions lenses arae available in all optical centers in the country. The world's leading opthalmic lens company, Essilor designs, manufactures and markets a wide range of lenses to improve and protect eyesight. its corporate mission is to enable everyone around the world to access lenses that meet his and her unique vision requirements. To support this mission, the company allocates around 150M European Dollars to research and development every year, in a comitment to continuously bring new, more effective products to the market. 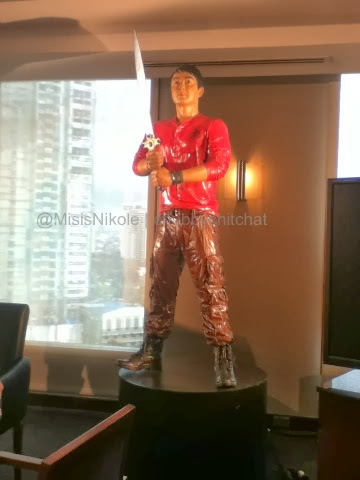 The "Dougie King" is now ready to conquer the Smart-Araneta Coliseum. Coming this November, he brings his swag and entertain his fans and supporters for his first major concert "King of the Gil." Enrique quips he will do everything to make the crowd stand up, dance and enjoy the night. He also told the Press during the Press Conference that what he really wanted also is that after the concert, fans will feel that the event was worth every penny they paid. He also said that the will try to create a new dance step for that night that people will remember aside from his "Dougie" and "Gentleman." The "King of the Gil" concert will be made more spectacular because he will be joined by Vice Ganda, Angel Locsin. Toni Gonzaga, Kim Chiu, Vhong Navarro, Jhong Hilario, Rico Blanco, Gloc9, Young JV, Arjo Atayde, Ejay Falcon, and Aaron Villaflor. 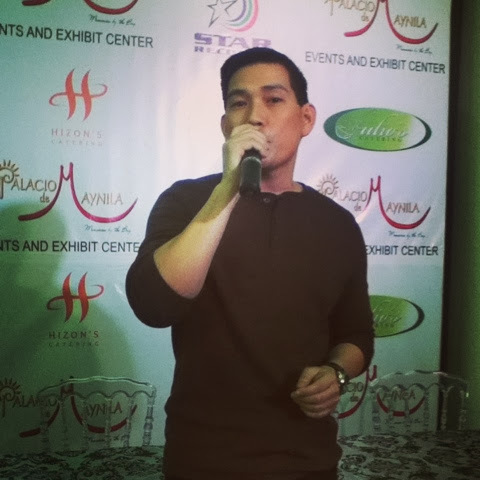 He will also share the dance floor with his "Muling Buksan Ang Puso" leading lady Julia Montes. Dance groups Street Boys and G-Force will further fire up the night with their killer choreography. This is a concert you wouldn't want to miss. 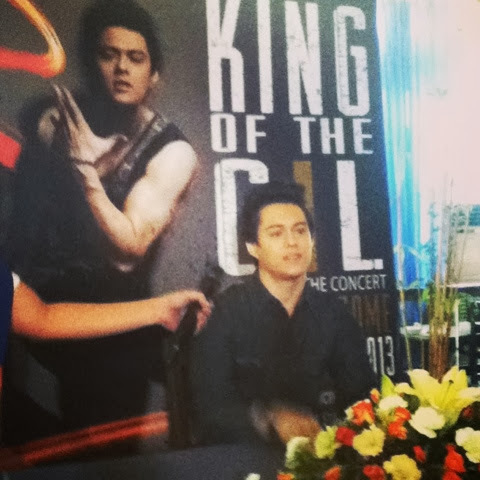 "King of the Gil" at the Araneta Coliseum on November 29 (Friday). Tickets are now selling like hotcakes at Ticketnet outlets and Ticketnet.com.ph. 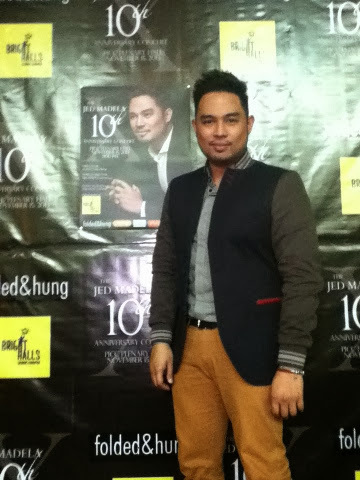 It's been 10 years, that fast and now Jed Madela will celebrate his music through a concert entitled "X The Jed Madela 10th Anniversary Concert" at the PICC Plenary Hall at 8:00 pm. Jed will be singing songs of his journey to success, songs that paved way for him to become who he is today. Celebrating his 10 years in the business is not just about having a grand concert, Jed, unknown to many is very involved in charitable works. This concert is very special because 100 percent of the profit will go charity which is Bright Halls Children's Foundation, a home for unwanted babies ages 0-3 years old, and to which Jed has been affiliated to for the past three years. So grab your tickets to this amazing concert, relieve the milestone that Jed has conquered, relax and enjoy the music and feel good that your ticket cost will be able to help children. One of GMA's prime artist Aljur Abrenica is coming in on second round for another concert happening on November 7 at the Music Museum. Titled as "Come and Get Me" fans will surely come and get him. Aljur said he'll be performing tracks and medleys he personally chose so for sure everyone will be in for a big treat. Aljur shares how excited he is for this concert since this time he can share his favorite songs with his fans and supporters. Also special production and surprise numbers await everyone who would come and get him. Also in full support for his concert, special performances will be made by people close to his heart like Julie Ann San Jose, Rochelle Pangilinan, Vin Abrenica and Kris Bernal. 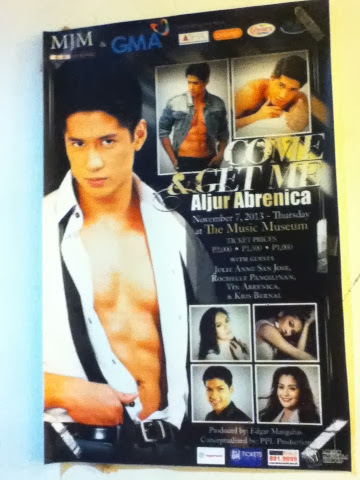 So come and get Aljur on November 7 at the Music Museum. ABS-CBN and DreamscapePH made a surprise press conference on what viewers will look forward to on 2014. After the story conference, the cast were introduced to the Media. You're My Home will be offered on the first quarter of 2014 and fans online are already excited about it. You're My Home will be top billed by the eternal love tandem of Mr. Richard Gomez and Ms. Dawn Zulueta. With them of course is a stellar support cast starting with Cherry Pie Picache, Iza Calzado, Shaina Magdayao, Enchong Dee, Ella Cruz and Francis Magundayao. This is another offering that is worth waiting for. We love watching movies, it makes us travel to different parts of the world, make us feel different emotions and learn a lot from it. But sometimes, when schedule and budget do not permit, we miss a few good ones shown in the cinemas. That's why ClickPlay.PH thought of this great idea of why not have these movies be available for streaming online? 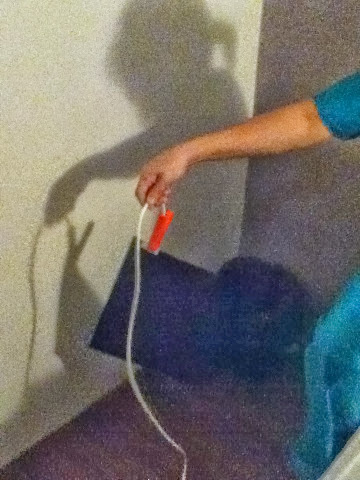 Very clever right? 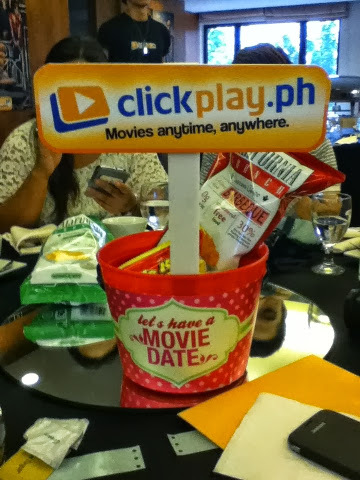 Clickplay.PH is the country's first movie-on-demand service provider in the Philippines. It gives its members the ability to enjoy movies whenever, how and where they want it instantly and seamlessly. Clickplay is available in numerous devices that have internet connection: from android mobile phones, tablets, PCs, MACs and even Smart TV's. The question is,how does it work? Clickplay allows you to rent a movie. From the moment you start watching, you can still play it for an unlimited number of times within 48 hours. plus, you can register up to 3 of your devices per movie, where you can watch your content! It's so quick and easy. So whether you are jammed in traffic, on a holiday, waiting for someone or simply want to relax, you will never get bored with Clickplay app on your gadgets! Woah! 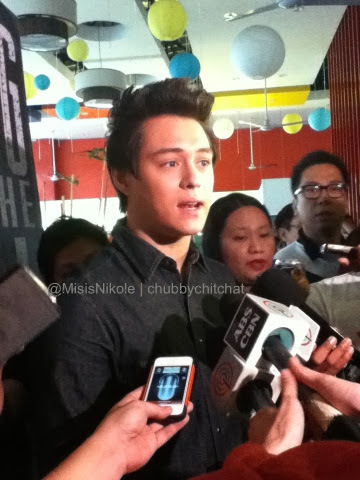 First day showing of the movie "She's The One" starring Enrique Gil, Dingdong Dantes and Bea Alonzo hits 12M! I am proud to be part of that first day and it was worth it. The movie will make you fall in love with the characters. Bea Alonzo as Cat: There are a lot of ladies out there who for sure would probably relate to her situation of being the "Best Friend." Dingdong Dantes: The man who just enjoys his life and his girls. And Enrique Gil: Super hot young boy who is man enough to search for his woman. I don't want to be the one giving out a lot of details about this movie because I think this is worth your penny, a feel good movie about life, friendship and love. At first I though why Enrique? Too young? But I'm telling you the role actually fits him, and surprisingly this time I think he's really hot. I super love Bea, so if you are a fan of her movies you'd probably remember 'Basha" in some of her scenes especially on the part where Cat (Bea) and Wacky (Dingdong) had a huge argument. Dingdong on the other hand made me feel that he really is a one of a kind actor, someone who can be paired with different leading ladies and yet still comes out so perfectly distinct from his other roles. Feel the chemistry of these three amazing actors as they capture your hearts via She's The One. Now showing in cinemas nationwide. Juan dela Cruz is now a household name, yes they earned this spot for providing a wholesome teleserye that caters to everyone in the family. Juan is now considered a modern day hero and kids are very fascinated about the character and wants to be like him. As the teleserye comes to their final week to closing, the cast, especially Juan dela Cruz himself Mr. Coco Martin wants to thank everyone who supported the show. They are happy that people made them their families every night, that they've given good lessons especially to children and that they were loved. 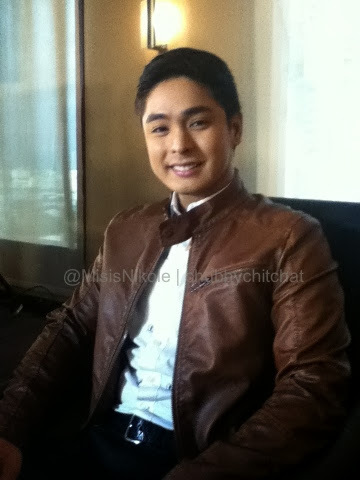 Coco is very happy that he is now known as Juan dela Cruz and hopes that in the future there will be other Juan's to step into the role. Juan dela Cruz will end Friday, October 25, 2013, make sure to stay focused on what else could possibly happen and for sure this will have a very meaningful ending. See you again Juan dela Cruz. 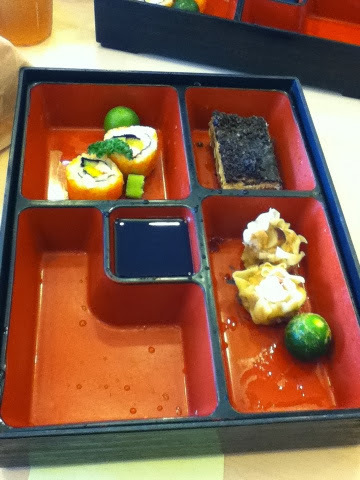 Yun Oh! First he was known as the mysterious Chef from a chinese fastfood chain, then was recognized as Papa Chen from "My Binondo Girl" and now being loved as "Ser Chief" of "Be Careful with My Heart." Who would have thought that he would make it this far considering he didn't start showbiz early. Well, here's another achievement for Mr. Richard Yap, Star Records recently launched his self titled album containing songs that would surely melt our hearts. In all fairness, he has a good voice and the tracks in the album were of good choices for his vocal range. 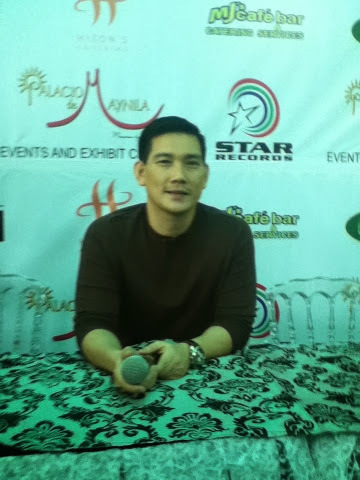 Let Richard Yap serenade you through his album which is now available in all record bars nationwide. He is also the voice behind the song "Don't know what to do" the official sound track of the Star Cinema movie "She's the One" starring Dingdong Dantes, Bea Alonzo and Enrique Gil showing in cinemas on October 16, 2013. The Queen of teleserye Ms Judy Ann Santos - Agoncillo stays with ABS-CBN, but this time hosting a franchised game show for babies. The newest offering of the Kapamilya network, Bet on Your Baby features families with kids ranging from 2 till about 4 yrs old, there will be three segments for the whole game to eventually reveal who will play on the jackpot portion. Bet on Your Baby also tests how parents know their babies, certain task or situations will be given and what's good about this game is that there is a so called baby dome, it's like a playroom where the babies will feel comfortable, this is very important so that the kids will not be pressured and possibly be traumatized by all the shouting and cheering of the audience. Bet on Your Baby is something to look forward to every weekend starting this October 19 after TV Patrol Weekend. 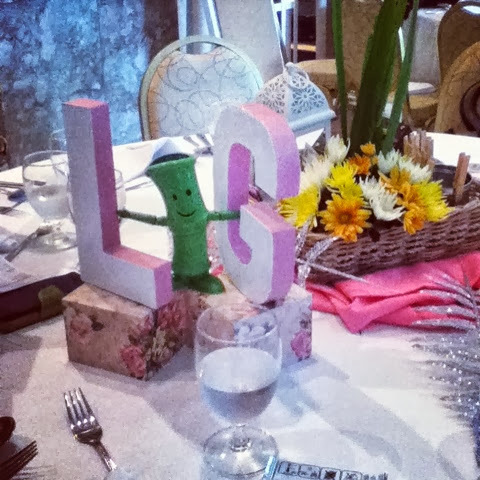 LG launches a very handy innovation perfect for those who want their memories printed instantly. This is the LG Pocket Photo, sleek in style, very light and super fub to use. No need for ink refill and be messy, to top it all it is very affordable at around PHp 7,000, rechargeable and is compatible with most Smart Phones in the market. 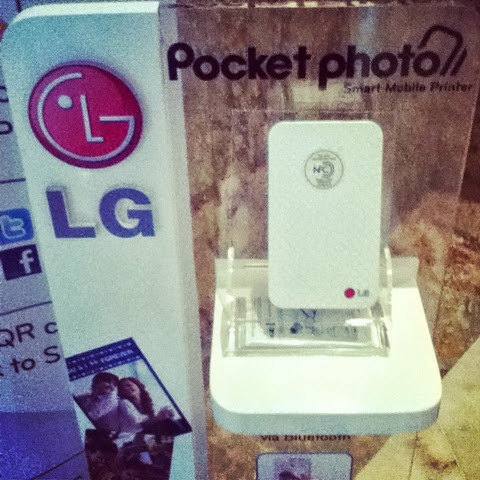 Have one and print your way to memory lane, the LG Pocket Photo is one gadget you wouldn't want to miss. When I was informed of the invitation for this visit to Takshing, I thought it was the usual spa pampering treat, and so I inmediately said yes since I really needed some relaxing too. Upon arrival, we were greeted by the lovely daughter of the Franchisee, Ms. Anna, she was very nice and "ma-chika" and immediately assisted us to try their massage. Before we started, our bags were securely kept in lockers and the keys were given to us, our feet were firsts dipped in lukewarm water, it felt so good. After a few minutes, we were assisted to our own massage rooms. 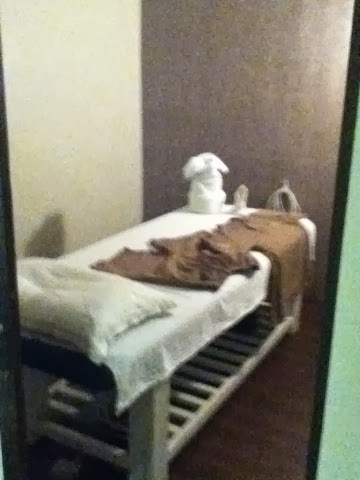 The room was large enough for a cute corner table, the massage bed and spacious for the attendant to roam around during massage time. For those of you who are quite not comfortable being almost naked during a massage session, no worries, Takshing has a comfortable massage clothing for you: a pair of shorts and shirt large enough to be lifted when certain areas need to be massaged. 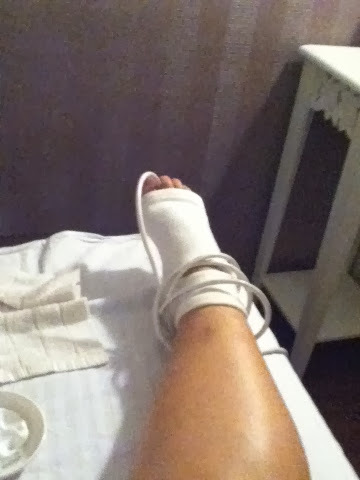 The main course, the massage freaked me out at first because the attendant, Ate Lorna told be that she'll be using the electric current to massage me. There you go! Surprise! So this is what's different from the other Spa salons. I was super nervous that I might get electrecuted but Ate Lorna was very nice to calm me and ensure that everything is safe. So I gave in, it wasn't scary at all and amazing as it is the electric current goes through Ate Lorna's hands passed on to every stroke she did on my body parts. It has a tingling feel, Ate Lorna can actually control the intensity of the current by using a black pad from the floor, her foot did the controlling, I wasn't even listening on her other explanations because I started enjoying the massage. I requested to focus on the part of my head for my migraine. 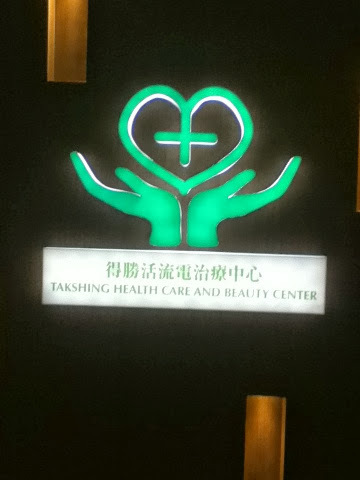 Takshing was franchised and originated from Hong Kong, it actually has healing powers that's why most of their clients are adults, who eventually feels better every after session, and I am hoping this could help for my migraine. After the session, I felt energized, it was different because when after my usual massages before, I'd feel tired and almost ready to sleep. Ms. Anna said that's what most of their younger clients say, so you see I'm still young lol! All in all the experience was very educational and I will really come back for more sessions. 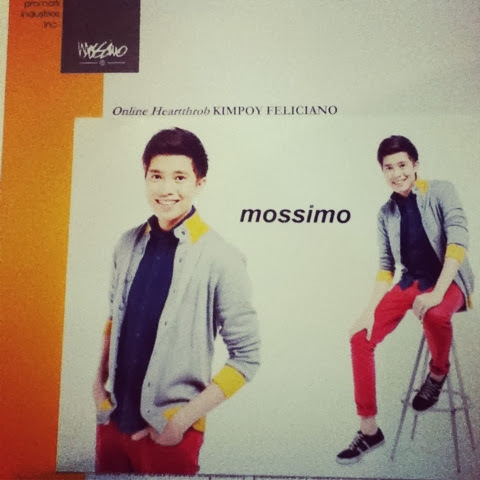 Mossimo announces its new brand ambassador: online hearthrob Kimpoy Feliciano. 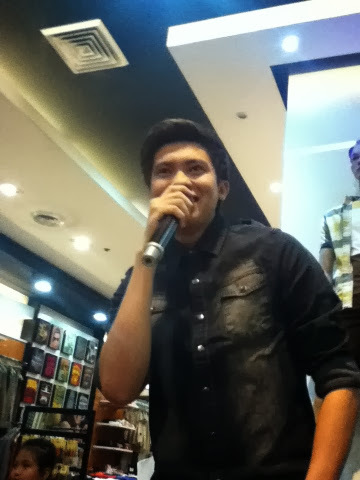 The official launch was attended by Kimpoy's fans at the SM North Annex store, they were so happy ang thrilled to meet their idol in person. 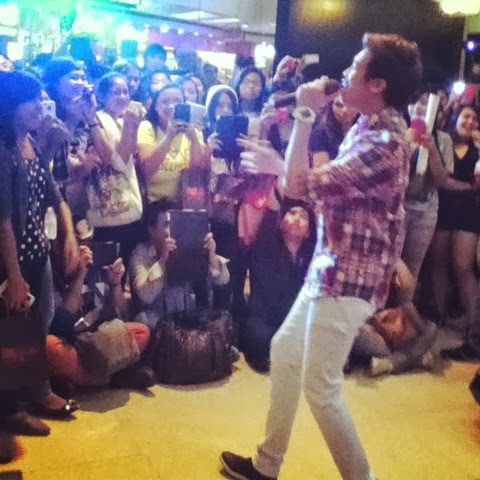 Fans who bought Mossimo products for a minimum of five hundred pesos got an exclusive meet and greet plus photo ops with Kimpoy, other than that Kimpoy also serenaded them with his hit songs and made a total finale blast by doing a total dance number that made girls shriek their hearts out. Mossimo is an American brand that is widely known and supported by many. Visit their stores in all major Malls nationwide. Kung Fu Divas, an exciting movie because is stars not just the Comedy Queen Ms. AiAi delas Alas but GMA's primetime queen Marian Rivera. Yes! How exciting it is to see these two ladies join together for a project in celebration of the 20th anniversary of Star Cinema. See how they fight for the beauty queen crown and end up being partners because of Kung Fu. I have yet to see this exciting tandem. You don't want to miss this. Kung Fu Divas Now Showing in Cinemas Nationwide! 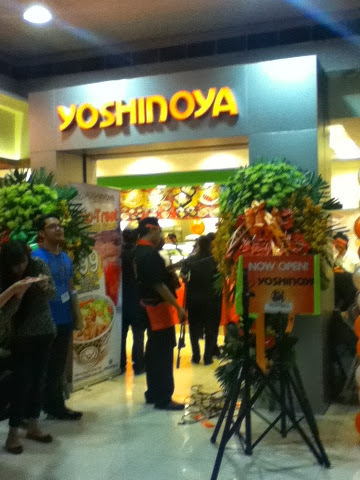 Yoshinoya, one of the best Japanese restaurants in the country re-opens in SM Megamall after a full make-over. The well loved restaurant now has a very enticing color, orange which will give more excitement during your visit. 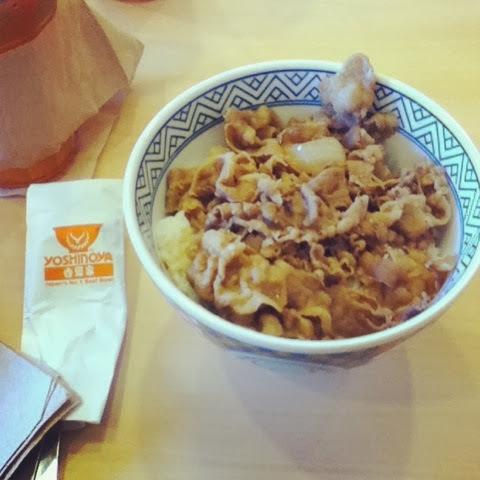 For all those food lovers our there, especially Japanese type, Yoshinoya is back at the Building A of SM Megamall, beside the new supermarket. 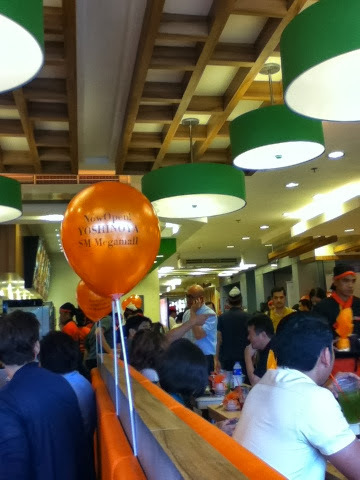 Yoshinoya, now open to serve you!